Sunrise | Leather or Fabric Lounge - TASTE FURNITURE ADELAIDE | LEATHER LOUNGES | FABRIC SOFAS | DINING FURNITURE | OUTDOOR FURNITURE | BEDROOM FURNITURE ADEALIDE| Beautiful living for indoor & outdoors. 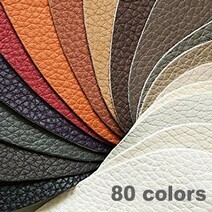 Available in 100% Top grain leather; 80 colors OR 50 colors fabric. Seat Cushions: High Density Foam D38 + 50% Loose Fibre and 50% feather.